The employee performance appraisal or review should be a summary of all that has been discussed. Based upon job expectations and key areas of contribution, and previously discussed goals and evaluation methods, the appraisal should be a written confirmation of what has already been discussed with the employee. The form should include key job responsibilities, current project work, relevant competencies, goals and achievements. 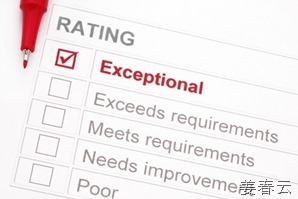 Previously completed performance appraisals should be used as reference documents. It should also contain an area to allow employees to record their comment and input. All comments included on the appraisal form need to be job-related and based upon observable behaviors. For the appraisal meeting, it is imperative to prepare ahead of time. Schedule an appropriate place and time with no interruptions. Ensure the employee has the information necessary to allow them to prepare adequately. Begin the discussion with job requirements and strengths/ accomplishments. The focus, as pointed out previously, should be forward looking. The way the manager approaches this meeting conveys a message related to its importance and should be approached with the appropriate level of seriousness and an open mind. The manager must be prepared in regard to what he/she wants to discuss, but just as importantly must be prepared to listen. Many suggest that it is important to first define the purpose of the meeting and provide an agenda. A factual discussion with a focus on job-related behaviors will keep the discussion objective. At the end of the meeting, key points should be summarized. 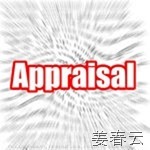 It is important to note that the employee will be asked to sign the appraisal, whether or not there is agreement.